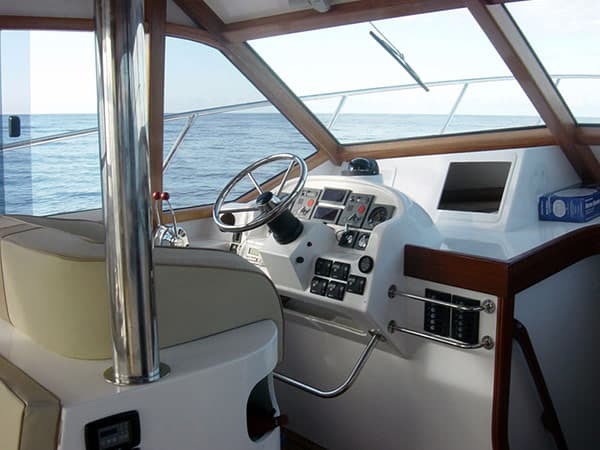 All gear and tackle is supplied on board, and is included in the daily charter rate. 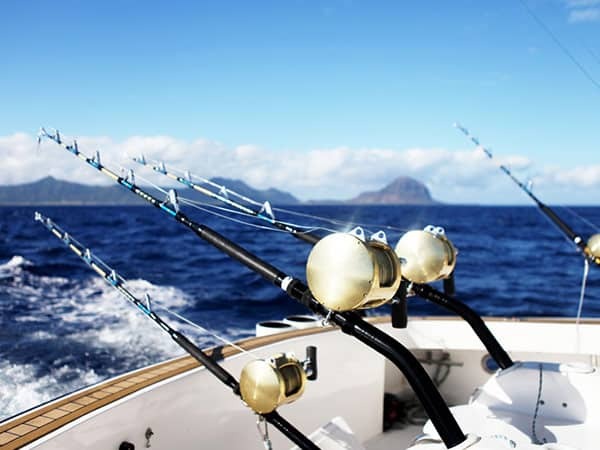 Anglers will find that they will be adequately equipped with all the usual necessary tackle, gear and equipment when gamefishing on any of the boats in our fleet. However, should an angler wish to bring along his own personal or lucky favourite rods and reels, harnesses, lures or whatever other items, this is more than welcome. Just be sure to let us know in advance. We can then arrange for our crew and skippers to rig your rods and reels for you before your outing. We usually troll for gamefish using konas and lures as bait. 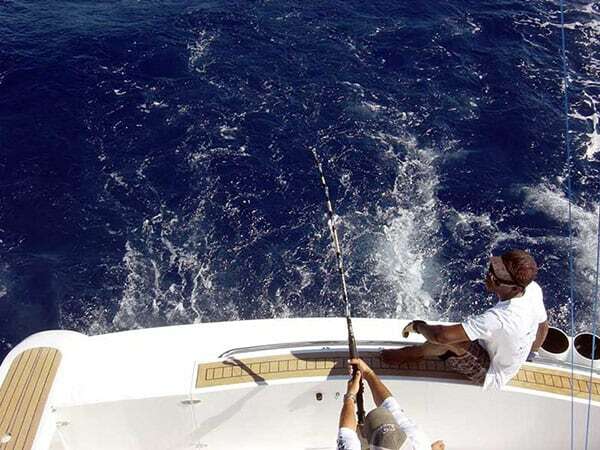 If it is known that fish are biting on live bait on any particular day, the skipper may then fish for a bonito, hook it up and look for marlin or other billfish in this manner. Flexibility to prevaling fishing conditons in the region is very much part of the skippers’ daily routine. Below-deck bathroom, equipped with fresh water showers and flushable marine toilets. Comfortable flying deck with sun-canopy. Inner seating area, with a table for dining purposes. Glasses, plates and other cutlery/culinary requirements are provided by the crew as needed or requested. Small galley adjecent to seating area, for general kitchen purposes: light meal/snack preparation, washing dishes, hands etc. Cooling facilities (iceboxes, icechests) for food and drinks. Radio/CD Player/Tape combination for listening pleasure if required. There are NO microwaves or airconditioners on board.